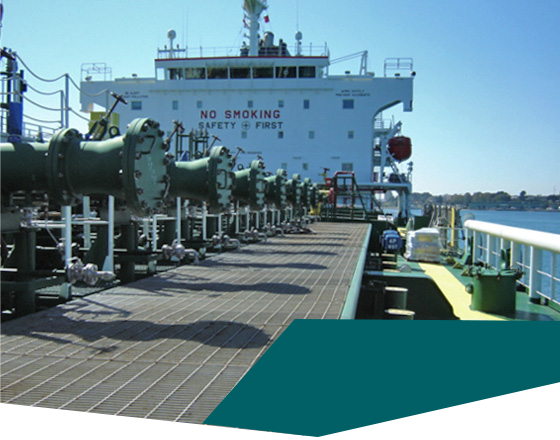 We provide a comprehensive tanker chartering service to meet the requirements of the customers and the needs of their business. Oil is a fast moving trade and we do our very best to ensure prompt execution of voyage orders. We provide best-in-class technical management service by complying or exceeding industry requirements such as the ISM Code. We control the environmental impact of the fleet, ensuring top performance and low running costs. We are fully committed to protect human life as well as the environment. PB Tankers focus on a sustainable business and continuously improves its internal health, safety and quality policy. The Chartering Department is responsible for establishing and maintaining relationships with reputable chartering brokers and various charterers. Thanks to its high shipping experience and close relationships with worldwide clients and brokers, the Chartering Department provides a comprehensive ship chartering service to meet the requirements of the customers and the needs of their business. The Operations Department provides a wide range of services in order to handle post-fixtures activities for the fleet, maximizing the efficiency of the fleet operations. The activities of the Operations Department are focused on monitoring of fleet’s performance, maintaining close relations with the vessels and with the port agents to ensure prompt execution of voyage orders and to avoid any delay. All of the activities are underpinned by the quality standards of the ISM Code. PB Tankers controls day-to-day fleet performance and running costs, maintaining close relationships with first-class suppliers and marine service providers to ensure that its principals consistently receive reliable and high-quality service. PB Tankers provides safe, reliable and efficient sea transportation and recognizes that good performance in respect of health, quality, safety, security and environment is of paramount importance for the success of its business. PB Tankers, in line with national and international laws and regulations, is fully committed to protect human life and the environment and has implemented a “zero tolerance” policy for any violation of applicable laws and regulations. Maintaining effective communications and cooperation with clients, suppliers and authorities. As a quality-minded organization, PB Tankers proactively seeks to identify requirements and needs for additional training through regular audits, Master and Management reviews, appraisal reports and regular visits to the vessels. The visits to the vessels by shore personnel include full or partial audits, participation in meetings, supervision of drills and observation of crew activities during normal operations. PB Tankers pursues customers’ satisfaction in all phases of operations, striving for operational excellence and promotes “best practices” identified within its own operations and by the industry, in order to improve individual crewmember and vessel performance. The Company’s quality operations are supported by a highly experienced and trained staff, onboard and ashore. PB Tankers is committed to responsible safety and environmental practices that meet international standards.